The USA’s only mountain zoo and home to one of the largest giraffe herds in the world. 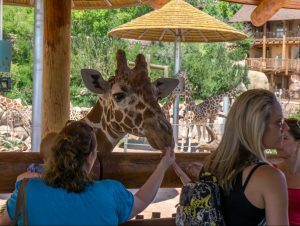 The zoo is located on the side of Cheyenne Mountain and covers 140 acres of land. The zoo stays open 365 days a year and even offers special discounts for large groups, military personnel, and senior citizens. Originally located as part of the Broadmoor Hotel’s grounds, the Zoo was founded by philanthropist Spencer Penrose when he needed more space to house his growing collection of exotic animals. In 1938 Penrose decided to incorporate the zoo as a non-profit public trust to the people of Colorado Springs. endangered. The large alpine habitats are arranged in such a way that allows you to get closer than ever before to some of the most interesting species, such as walking through a park-like area alongside the Red-necked Wallabies. There are 16 giraffes housed at the zoo, all of which are active and friendly to anyone, especially if you are holding a piece of lettuce. 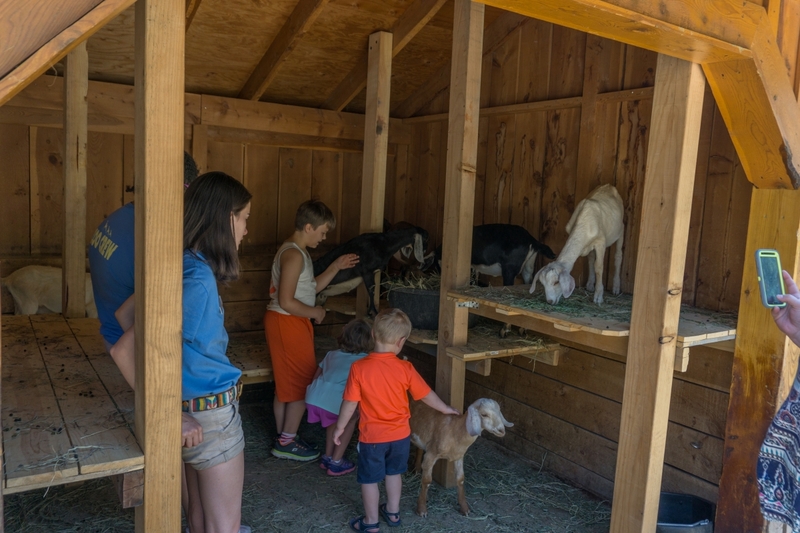 You can even meet and pet some of the smaller residents of the zoo such as goats and ponies at The Loft area. 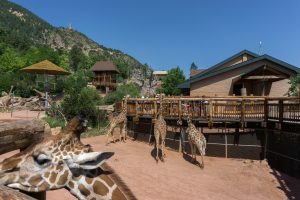 This entry was posted in Attractions, Blog, Community and tagged Cheyenne Mountain Zoo, colorado, colorado springs, Tourist Attractions, zoo. Bookmark the permalink.